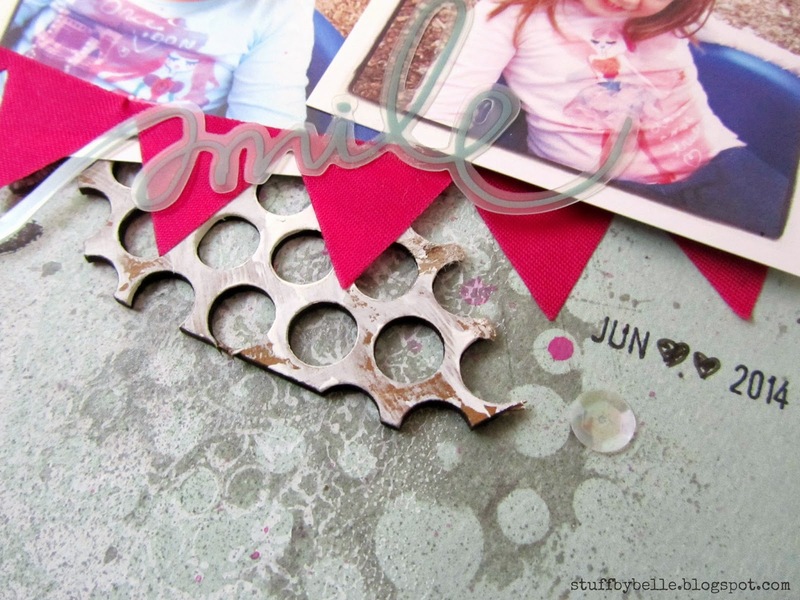 The Authentique in my July kit for Scrappy Chic is awesome. It is the Classique: Pretty collection and I just loved using it. These two papers are Neat and Cursive, perfect for layering! 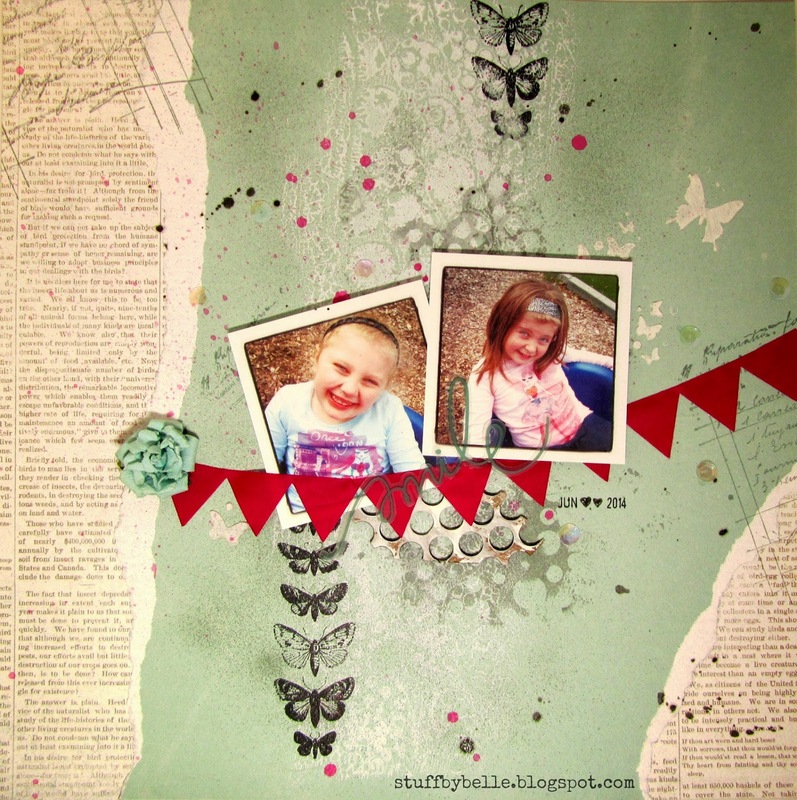 I used my gelli plte, gesso and some punchinella to create the background. Then an Um Wow Studio mask (circle confetti) with mist for another layer then paint splatters and some modeling paste in the butterfly swarm mask. 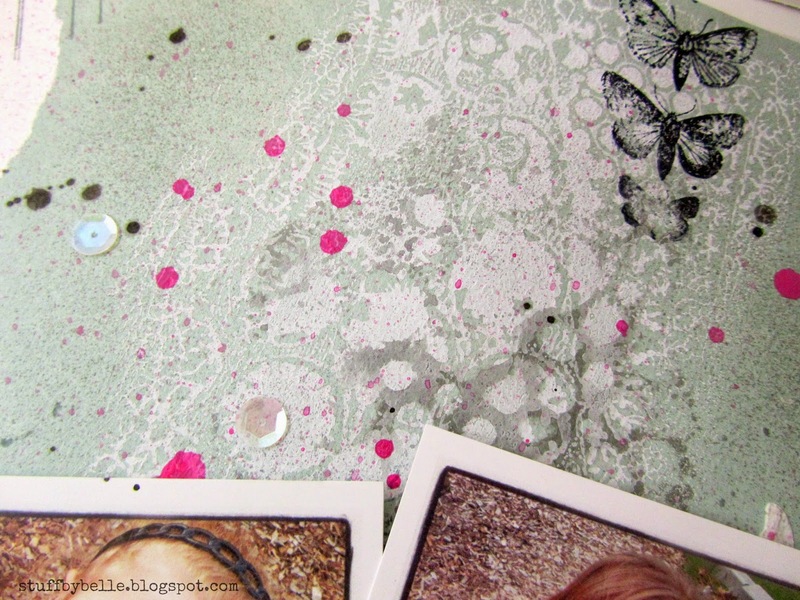 There is a bit of the damaged punchinella chip (also UWS), some of the new banner ribbon from May Arts, a Kaisercraft flower, Heidi Swapp 'smile' embellishment and a couple of Viva Las VegaStamps (butterfly specimen and waybill/invoice background). Isn't that background pattern great!! I doodled a couple of hearts on the date...one for each of those pretty smiles!! Labels: Authentique, distress paint, may arts, Scrappy Chic, Um Wow Studio, Viva La VegaStamp!, VLVS!